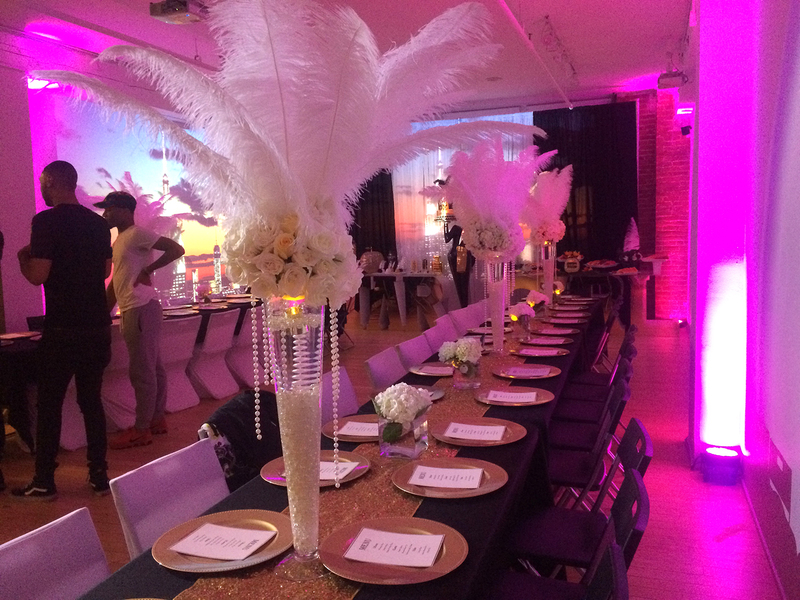 We offer the perfect, trendy venue for any small to medium size event. 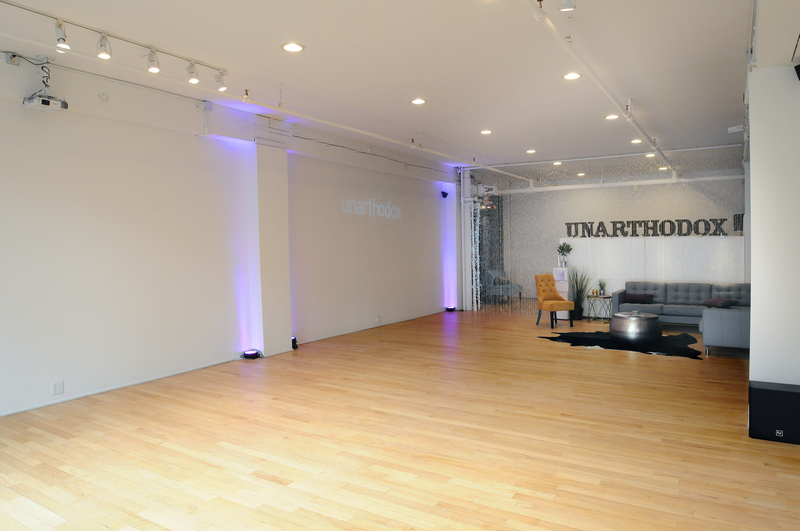 Located in the heart of Chelsea, just steps from the High Line, Our venue sits in a landmarked, historical building that's not only vintage but beautiful. It is on the 3rd floor directly across from a large elevator. 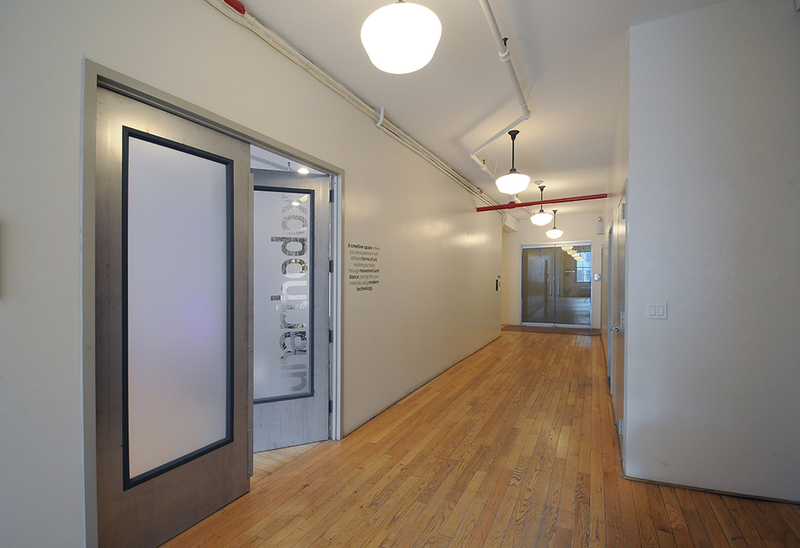 It is approximately 1,800 square feet of open space with a semi-private office. It is perfect for parties of up to 65 people. 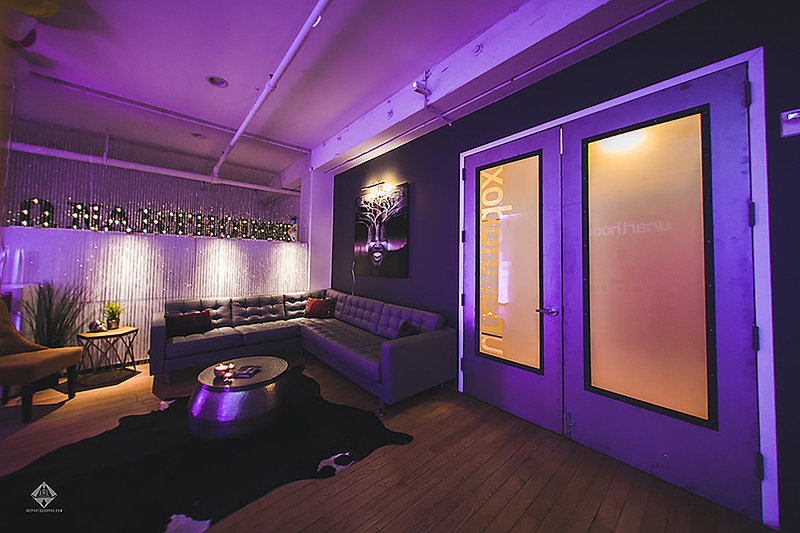 Our surround sound system and wall uplighting will provide the atmosphere your guest will most definitely enjoy. The lounge area, with trendy couches and interesting decor, provide a chill area for your guest to hang out and relax. All wireless sound allows you to control the music from anywhere in the room using a phone or iPad allowing to constantly adjust the mood. 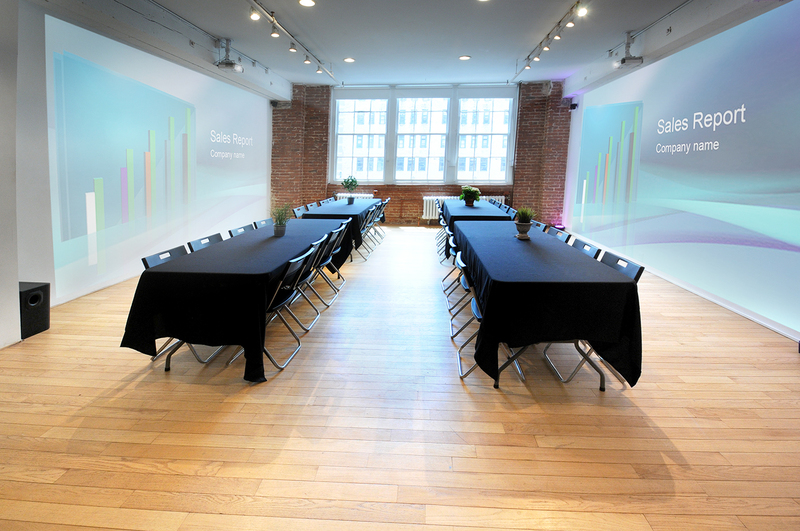 For our corporate costumers, it is perfect for seminars, meetings, and workshops. We provide tables and chairs which can comfortably accommodate up to 40 guests. 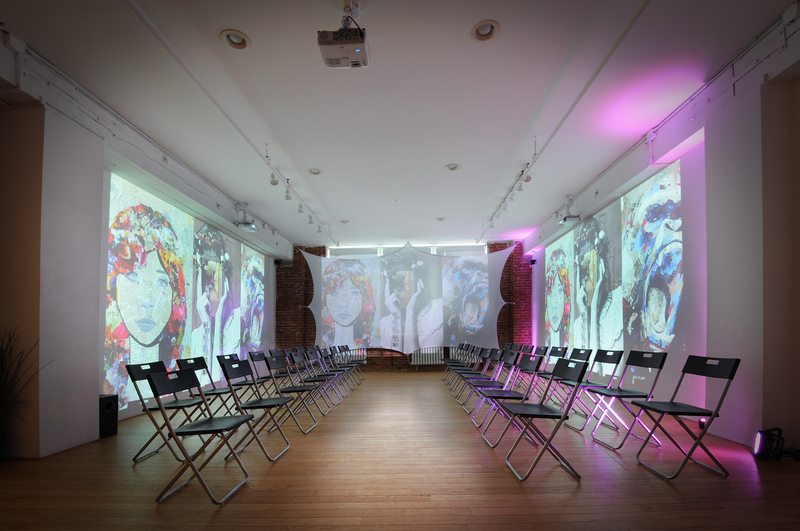 Three projectors allow you to visually project images on 2 walls and one gigantic screen. We also provide various catering options from our trusted catering vendors or you can choose your own. 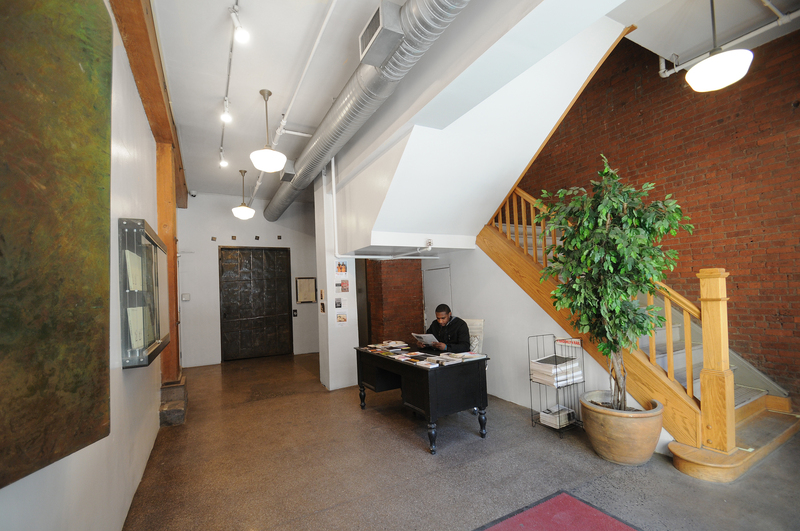 Restrooms are conveniently located right outside our door. The hourly rate is $230 per hour with a minimum of 4 hours. 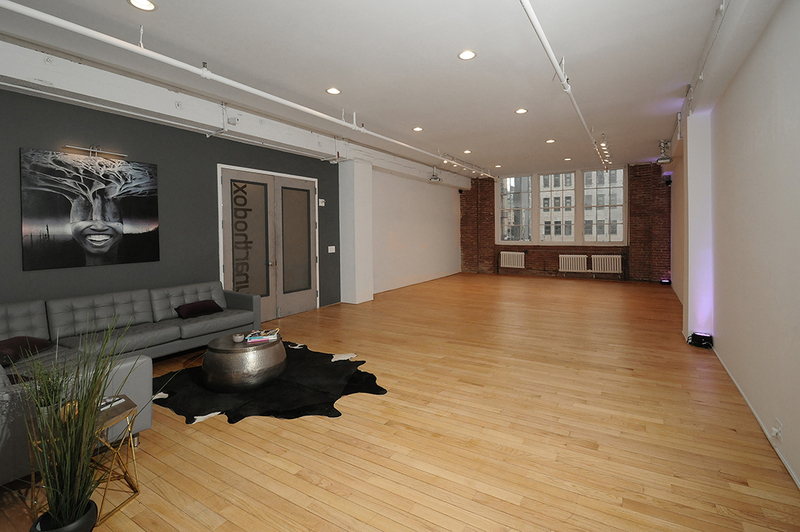 Depending on type of event and time of booking, a $150 clean-up fee and well as a $40 doorman fee. 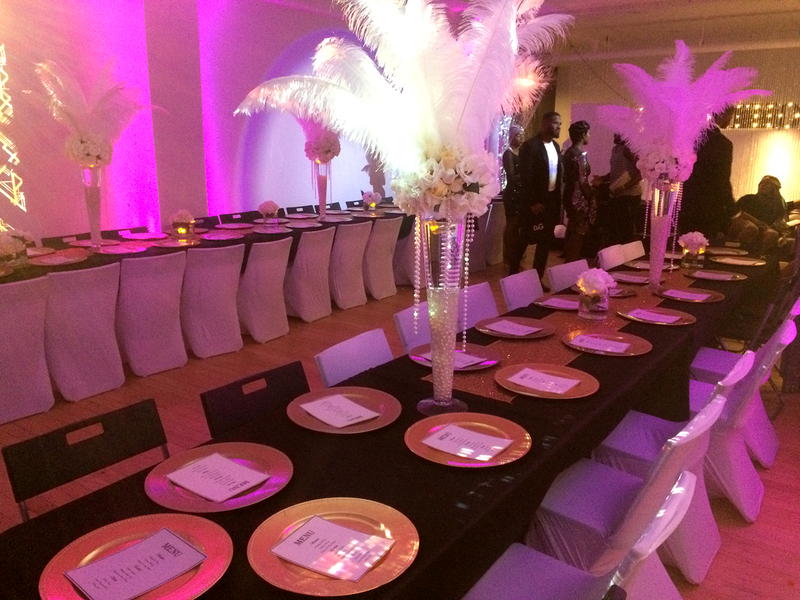 Reach out to us and we will help you in providing the perfect space for your next event.